Business Law and Company Law, advising and consulting companies, developing corporate reorganization instruments such as mergers, divisions and transformations, conducting corporate routines, including amendments to social contracts and legal status, preparing minutes for ordinary, extraordinary and special general meetings, Partners meetings, board of directors, board of executive officers and fiscal council, opening and filling of corporate books, as well as the conduction of necessary records before the Commercial Boards and the Civil Registers of competent Legal Entities. He has experience in Law of Probate and Succession and Family Law, providing legal advice and performing the opening and processing of judicial and extrajudicial inventories, elaboration of pacts of stable union and their extrajudicial dissolution, as well as acting in lawsuits of recognition and dissolution of common-law marriage, divorce, enforced collection action, review and imposition of alimony payments, among other correlated areas. 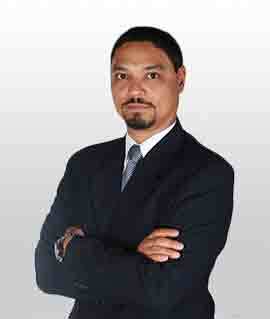 He also works in Real Estate Law, Civil Litigation and Contracts, providing legal advice to individuals and legal entities in the drafting of contracts (civil and leases), as well as actions in civil liability actions for moral and/or material damages, related to property rights, leasehold actions, guardianship and curatorship actions, among others. Previously, he worked as a senior lawyer and managing partner at Jorio & Loures Advogados Associados. Thiago Batalha graduated in Law from the Pontifical Catholic University of Rio de Janeiro (PUC-Rio). He is a member of the Brazilian Bar Association (OAB) since 2008. He studied at the Judiciary School of the State of Rio de Janeiro (Escola da Magistratura do Estado do Rio de Janeiro – EMERJ). Master in Business Administration from Fundação Getúlio Vargas (FGV-Rio). He speaks Portuguese, English, Spanish and French.